What a gift improv is to a dancer's soul. Take one of your technique or rehearsal hours this week, and devote it entirely to exploring movement through improv. Consider using different genres of music and asking your students to take on the character of the subject in the song. Have your dancers spell their names with their bodies as they move from the back of the room toward the mirror. Turn on songs that have a glorious crescendo, and encourage your dancers to move in more and more youthful ways until the peak of the song, then have them transition into moving as if they were 80 years old as the song quiets and fades. 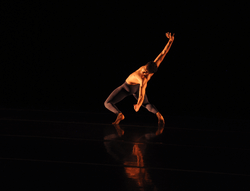 Freedom of expression through movement is a crucial aspect of a dancer's training. It is liberating. Give them the freedom to move, and they will feel recharged the next time you ask them to run one of their competition numbers. 2. Have a Class Party! Most class parties are reserved for Christmas or the end of the year. Surprise your students with a "just because" party. It will be an exciting change in the monotony of their day-to-day. Provide treats, games and even a classic dance film for the dancers to enjoy. The R&R; is exactly what they need to feel excited to get back to class. Gratitude goes a long way in finding joy within ourselves. The more we recognize what we have been blessed with, the less time we have to care about the things we don't. Bring dry-erase markers to class, and make a list on the mirrors of all the things you and your students are thankful for. Encourage them to dig deep and find something about their fellow teammates that they are thankful for. For example, they could say something like "Sally performs with total abandon in this piece. It inspires me to let go of all my insecurities and give the performance my all." Make sure each student shows gratitude for someone else, and in return is paid a genuine compliment.